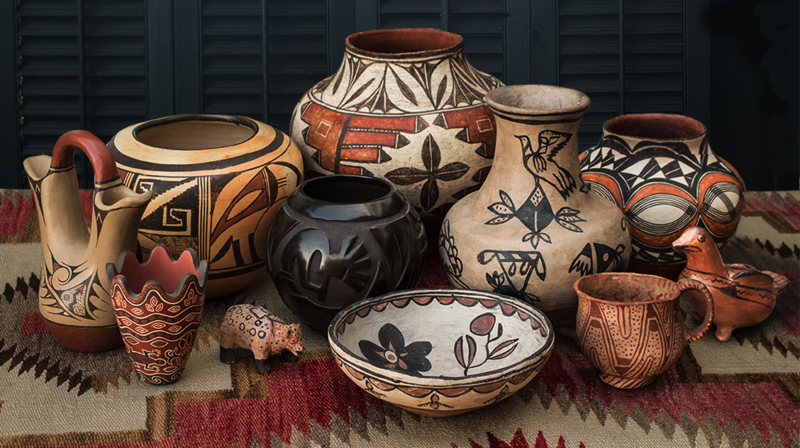 A site filled with OLD AND UNUSUAL PUEBLO POTTERY, with each piece selected by pottery-book authors Allan and Carol Hayes. Many of these pieces appear in our books. We think some of them are so interesting that we've put a green dot by ones that have a special history, unusual features or appeal for serious collectors. From time to time, we bring our pots to shows. For our upcoming show schedule, click here.